Apple continues to accelerate a direct sales model into small business customers. But the iPad and iPhone maker is also taking intriguing steps to engage channel partners. Apple continues to accelerate a direct sales model into small business customers. But the iPad and iPhone maker is also taking intriguing steps to engage channel partners. Among the moves worth watching: Apple (AAPL) met with VARs and MSPs this week at the HTG Peer Group gathering in Orlando, Fla. The Apple-HTG meeting was held in conjunction with ConnectWise IT Nation. Here’s why. Generally speaking, HTG Peer Group members are VARs and MSPs serving small businesses. The members typically are progressive small business owners, who pursue high-margin, recurring revenue opportunities that most resellers otherwise overlook. Many of the HTG members also grew up supporting Microsoft Windows and Microsoft Exchange networks within small businesses. Translation: Apple potentially sees HTG Peer Groups as an influential community that can help small business owners to integrate iPads, iPhones and iMacs into Windows networks. The VAR Guy is poking around to see how HTG members will potentially work with Apple. Admittedly, Apple has a mixed heritage — at best — with channel partners. 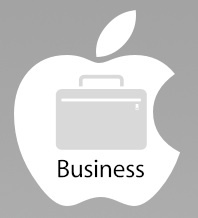 The recent Apple Joint Venture initiative bolsters direct sales and support to SMB customers. In early 2011, Apple started dropping some small business channel partners with little or no explanation. But Apple also appears to have some sort of relationship with OnForce, an online marketplace that dispatches IT support personnel — usually independent VARs and resellers — out to customer sites. How will the Apple-HTG relationship evolve? The VAR Guy is watching.